Trip Planner Kelowna - Automatic itinerary. Plan the perfect trip. Don’t want to deal with the hassle of hours of research? Would you like a plan that matched your preferences to magically show up? Well, you have come to the best place that’ll help you plan your perfect trip. Welcome to the Trip Planner Kelowna. Inspirock provides a detailed day-by-day plan of attractions you will see at the various destinations on your personalised itinerary. The plan is completely customizable with options you can choose on the home page and by adding and deleting recommended attractions and destinations.You can write notes to yourself for future reference, save your plan to take with you on your trip, and book your hotels directly. Connect with your Facebook friends and fellow travellers to share your plan and to ask their opinions and assistance in planning. 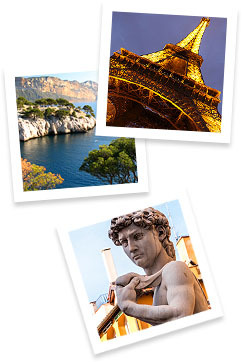 Inspirock builds your itinerary from hundreds of thousands of carefully curated attractions in thousands of destinations across Europe, The Americas, Asia, South Pacific, & Africa. It uses advanced technologies to sift through the large amounts of data to find the perfect match based on your preferences.